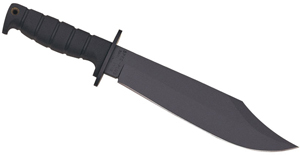 Usually, assisted opening knives go for the cool tactical look. 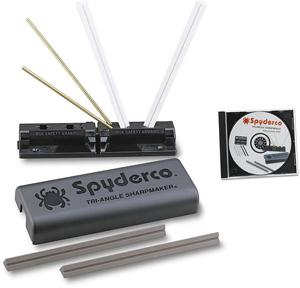 They are designed to snap open and scare away any potential attackers. But the same design also scares the average civilian. The Delegate from Columbia River is an assisted knife that won’t scare the neighbors, or the maître d’ at that nice French restaurant you like to go to. 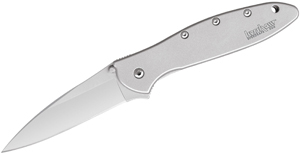 The sleek and simple design when closed is attractive, and the drop point blade is utilitarian and non-threatening. The handles feature either cocobolo wood scales for the black blade model, or white bone scales for the satin blade model, which really add to the classy quality that this knife has going for it. However, the Delegate isn’t just about looks. Despite its non-threatening appearance, the blade is razor sharp, and the assisted open action snaps the blade open with authority.